Nearly 8,000 people have been killed in eastern Ukraine since mid-April 2014, UN High Commissioner for Human Rights Zeid Ra'ad Al Hussein said on Sept.8. "The shelling of residential areas on both sides of the contact line has led to a disturbing increase in the number of civilian casualties over the past three months. More needs to be done to protect civilians and put a complete stop to the hostilities, in accordance with the February ceasefire agreement," Zeid said while presenting the 11th report by the UN Human Rights Monitoring Mission in Ukraine. The report, which covers the period from May 16 to August 15, 2015, says that the number of civilian casualties more than doubled compared to the previous three months, with at least 105 people killed and 308 injured compared to 60 killed and 102 injured from February 16 to May 15, 2015. 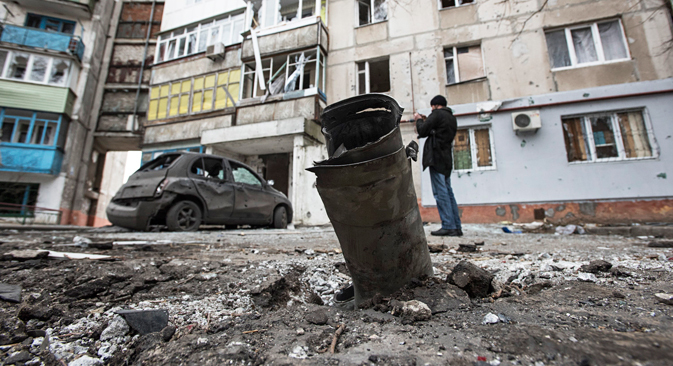 Since the start of the conflict in eastern Ukraine in mid-April 2014, at least 7,962 people (including Ukrainian armed forces servicemen, civilians and members of various armed groups) have been killed and at least 17,811 injured, Zeid said citing the latest figures available.